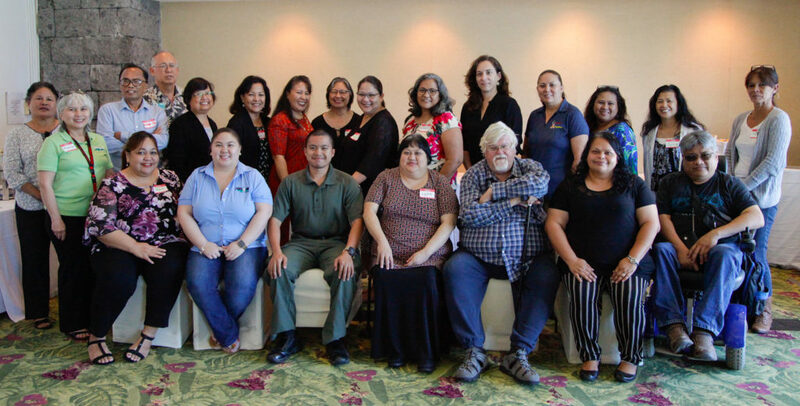 February 4: Lisa Linda Natividad, Ph.D., and Tricia Lizama, Ph.D, UOG Social Work faculty, visited Guam CEDDERS to discuss the inclusion of a breakout session entitled, “The Behavioral Health Glossary in CHamoru: A Practical Tool Towards Health Literacy and Patient-Centered Care” during the upcoming National Association of Social Workers – Guam Chapter Annual Conference scheduled for March 18-19, 2019 at the Westin Resort Guam. 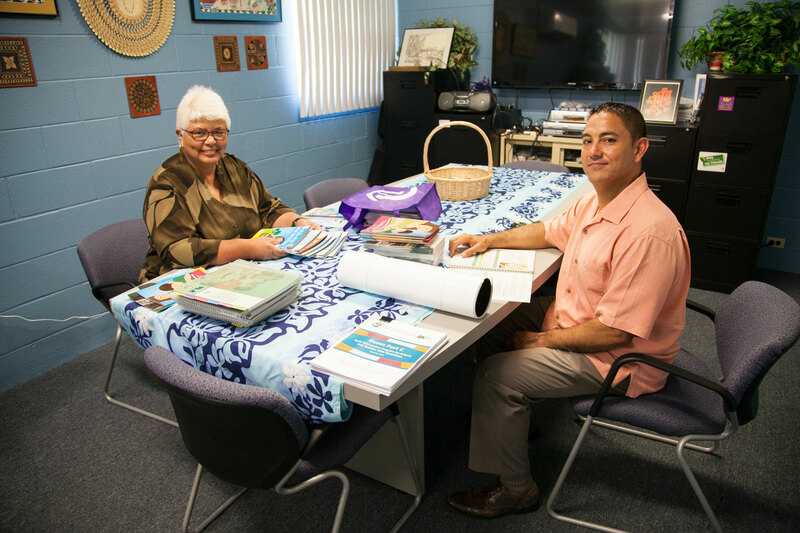 Mariles Benavente, LCSW, and retired Guam CEDDERS Cultural and Linguistic Competence Coordinator, the editor of the Glossary, will be the lead presenter of the session. 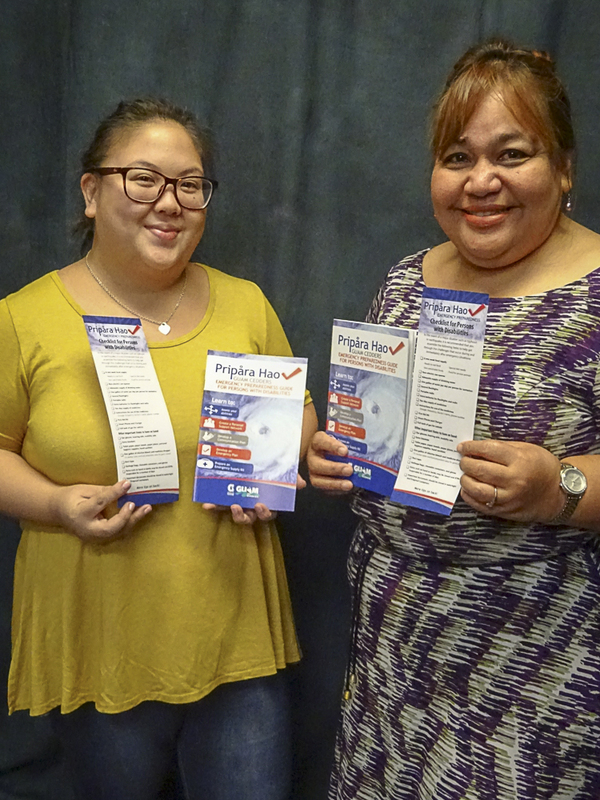 (L-R) Dr. Natividad and Dr. Lizama are shown holding copies of the Glossary. 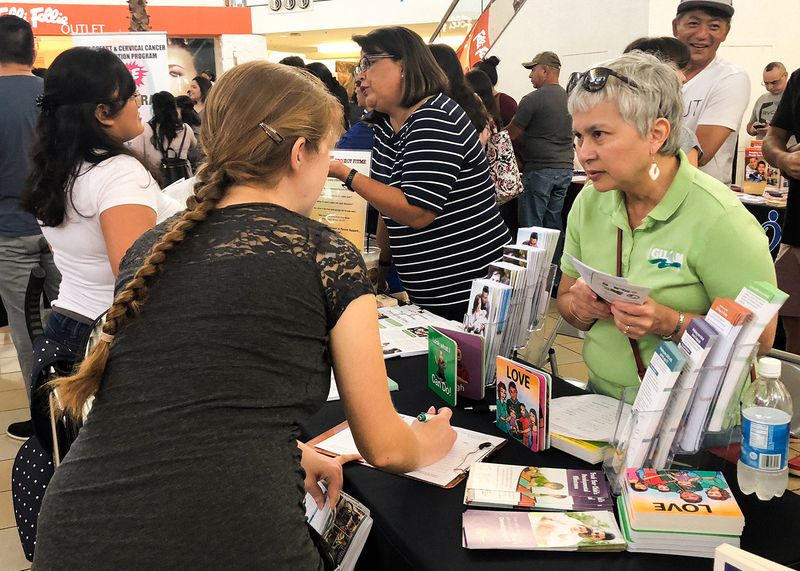 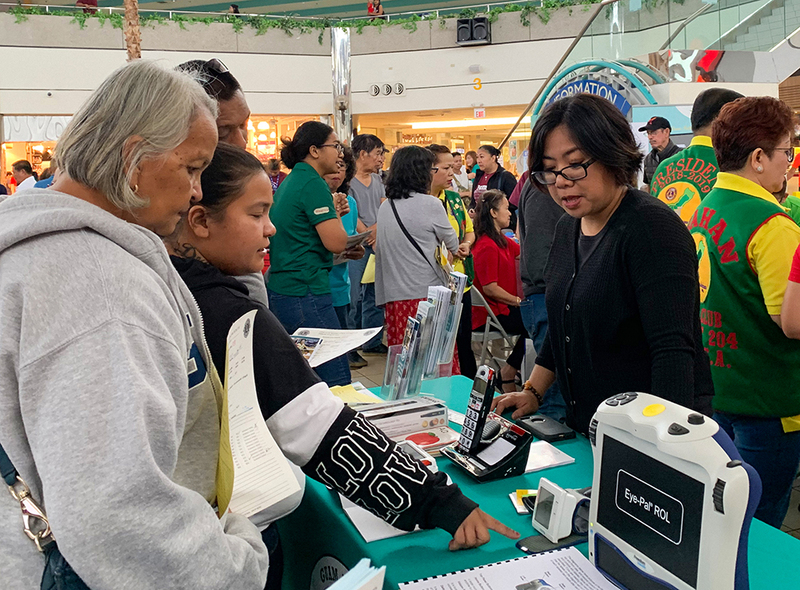 February 02, 2019: The Guam Early Hearing Detection and Intervention (Guam EHDI) Project Fitme and Guam’s Positive Parents Together (GPPT) participated in the Lion’s Club Health Fair at the Micronesia Mall Center Court. 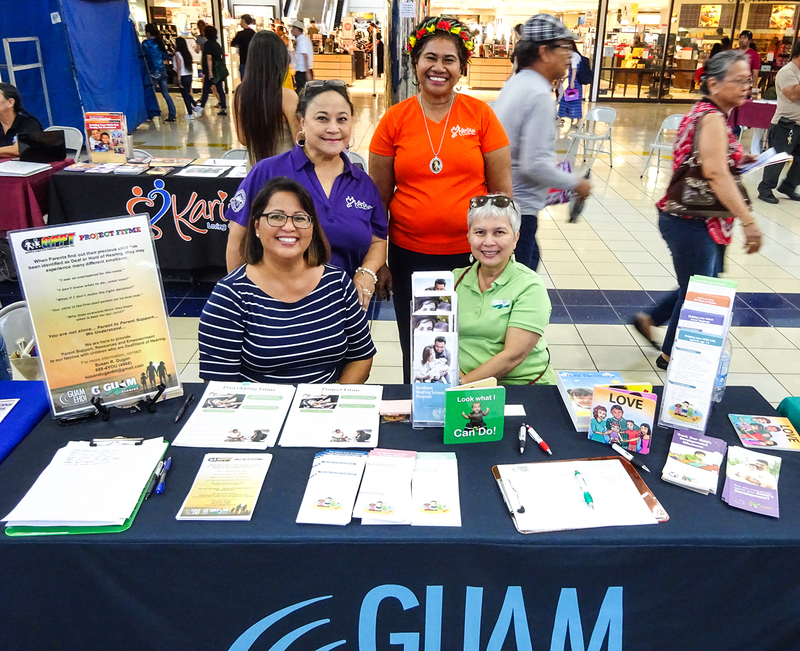 Guam EHDI and GPPT shared information about initial hearing screening for newborns and parent supports available to families of children identified with a hearing loss. 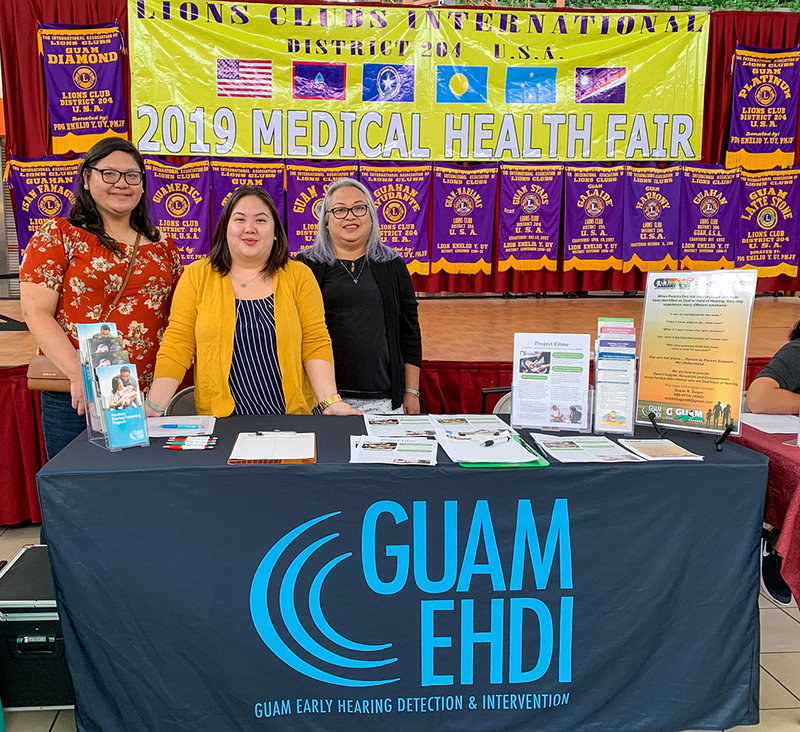 Pictured at the event were (standing, L-R): Ashley Babauta, GPPT/Project Fitme Support Staff ; Jenika Ballesta, Guam CEDDERS Research Associate; and Bobbie Aflleje, GPPT/Project Fitme Support Staff. 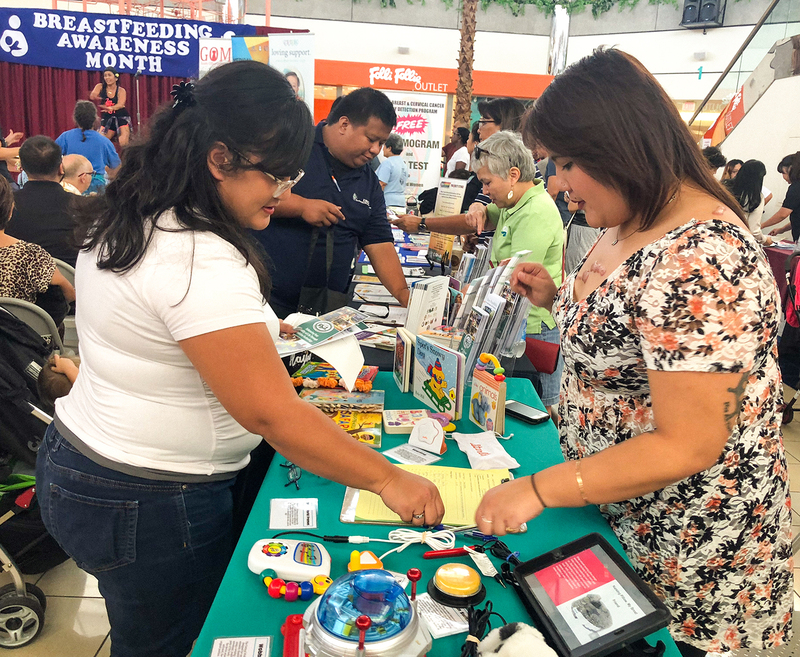 February 02, 2019: the Guam System for Assistive Technology (GSAT) participated in the Lion’s Club Health Fair at the Micronesia Mall Center Court. 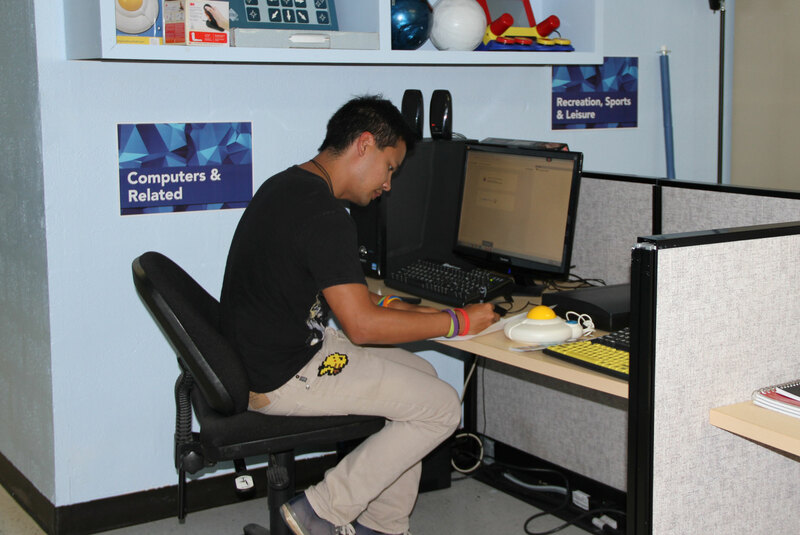 Pictured at the event is Leah Abelon, GSAT Center Coordinator. 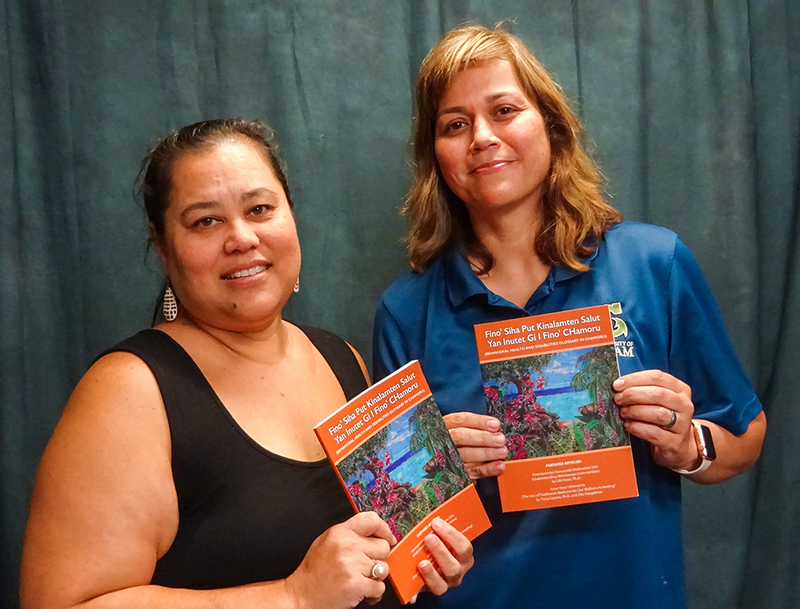 Jenika Ballesta, Research Associate, presented copies of the “Pripåra Hao Emergency Preparedness Checklist and Guidebook for Persons with Disabilities” to Marie Libria, Guam Developmental Disabilities Council Program Coordinator. 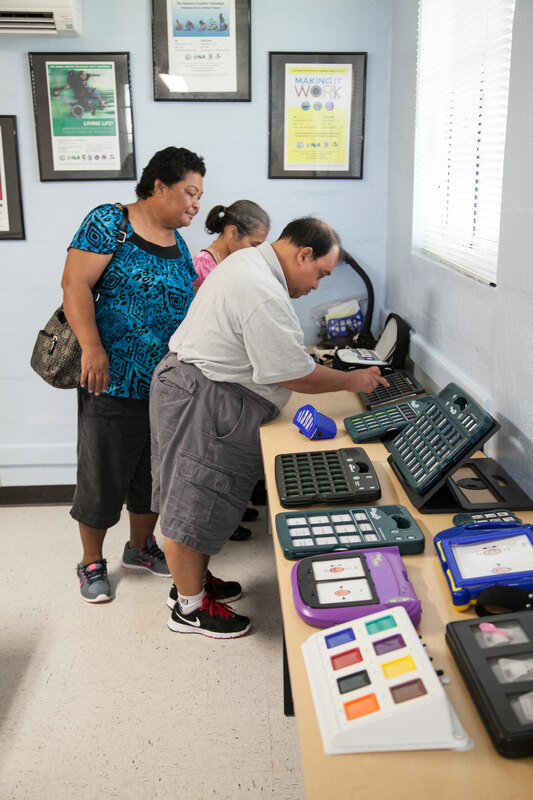 Ms. Libria will share these products during the 2018 AIDD Technical Assistance Institute, 2018 NACDD Annual Conference and related meetings, and during the “Emergency Preparedness: What Can Councils Do?” panel featuring FEMA, Alabama DD Council, and Guam DD Council. 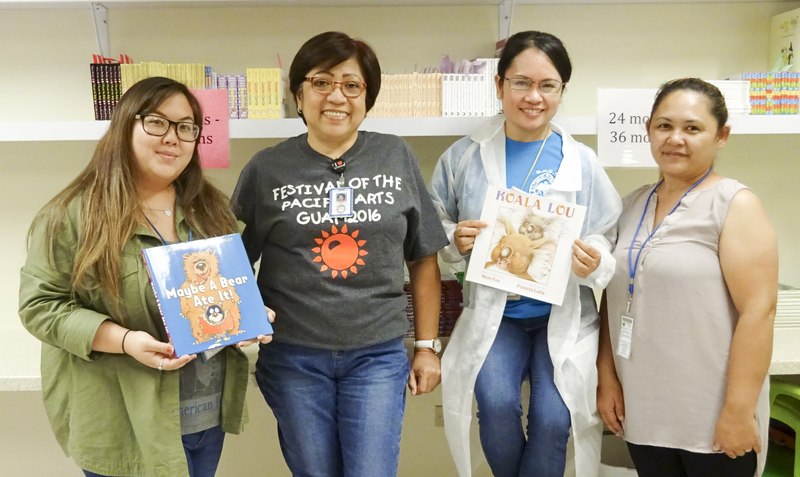 Jenika Ballesta, Guam CEDDERS (far left), and Coleen Dela Cruz, Guam CEDDERS (far right), presented books to the staff of Southern Region Community Health Center on July 1 as part of the Reach Out and Read Program. 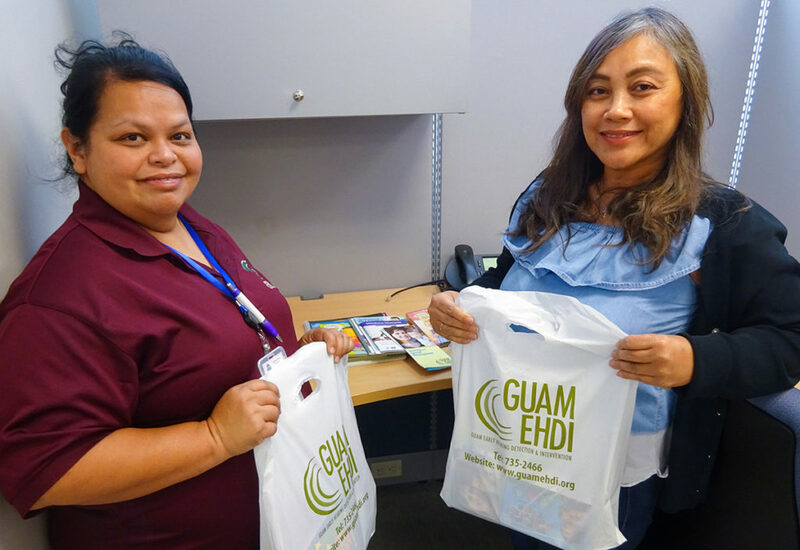 John Hernandez, a teacher in the Health Department at John F. Kennedy High School, visited Terrie Fejarang, Guam CEDDERS Associate Director, on November 5 to discuss early childhood services and supports and receive resources. 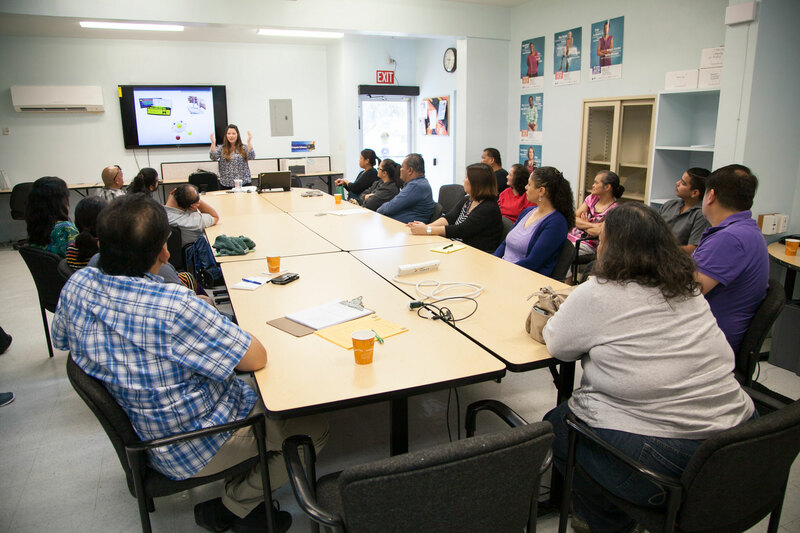 After conducting a pilot class, Mr. Hernandez recently spearheaded the approval process to teach a health course titled, “Prenatal to Infancy Wellness: Nutrition and Healthcare.” Students in the class include pregnant teens and new mothers. 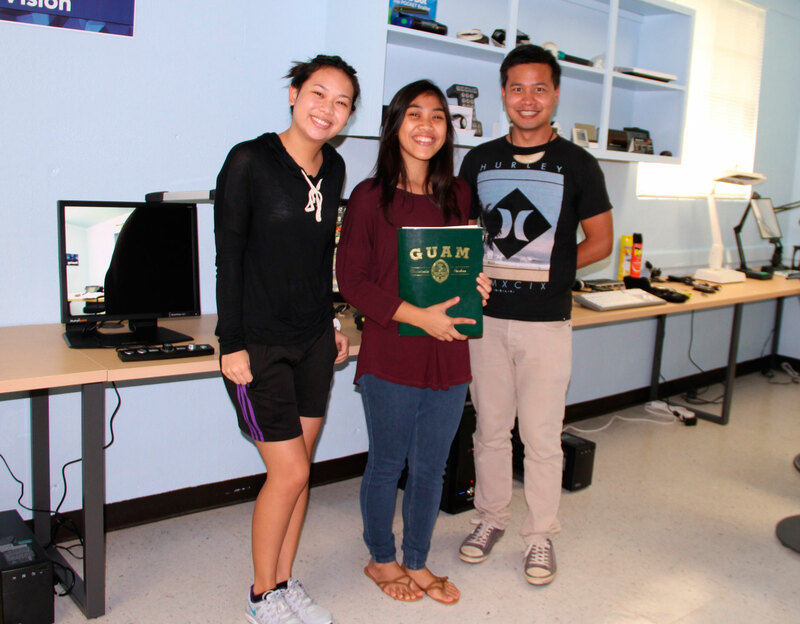 Resources shared included the “Guam Early Learning Guidelines,” “Neni Directory,” “Building Young Brains,” and various posters and early childhood videos produced by Guam CEDDERS.